Gone are the days when a front entryway was merely used and not decorated. You may be redesigning the inside foyer or thinking about the curb appeal of your home. Adding some pizzazz isn't as difficult as you may think. Making a big, dramatic impact when decorating your front door takes place in small details and using them the right way. Make visitors and guests spellbound by incorporating pops of color, updating the hardware and bringing in items with personality. Adding a pop of color will punch up the impact your front door will have on visitors. Back in the day, a front door was considered just that, a door. Now many people have realized adding bright colors bring a sense of fun and happiness into their home and to the outside design. 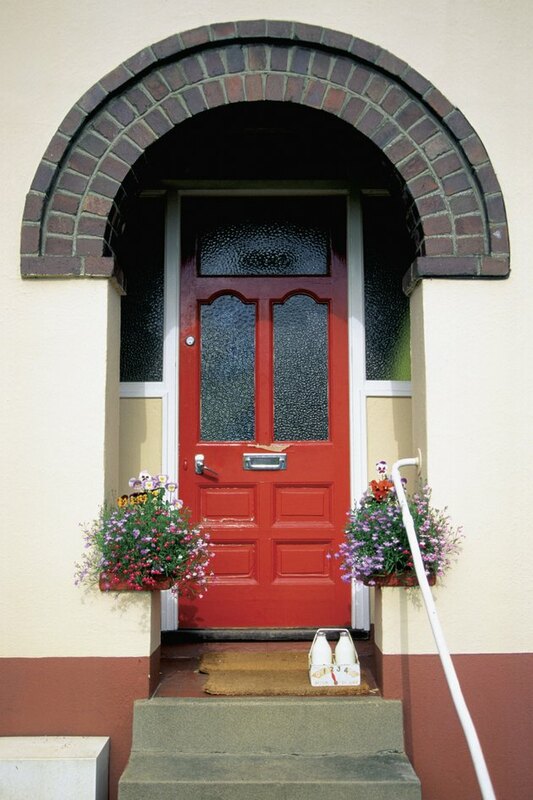 Paint the front door a non-traditional color such as teal or canary yellow. Match both sides of the door or choose a different paint color for the inside, blending the door in with the decor of the home. 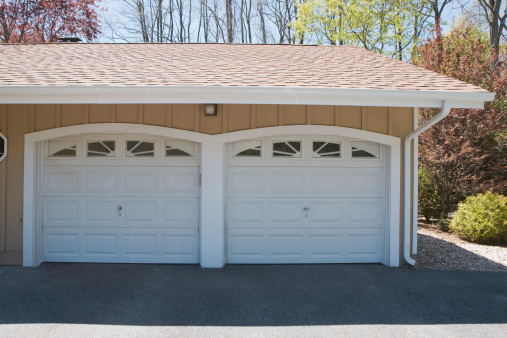 Paint is an affordable way to make a big difference. If you find that the doorknob has rusted and the knocker has kicked the bucket, it may be time to invest in new hardware. Updating the essentials of your front door will refresh from the inside out. Choose hardware that is versatile such as brushed nickel, this will work even if you change the door color. A brand new gleaming handle and peephole are simple and stylish ways to make your front door stand out. Whether you purchase or make your own accessories, they could be the very things your front door has been missing. Hanging a seasonal wreath or garland works for both inside and outside the door. Drape white colored lights along the trim. Upgrade the house numbers, perhaps spray painting them a contrasting color and attaching them to the center of the door. Create an artificial flower bouquet, using a thick satin ribbon to hang from the top of the door. It isn't just the door that needs to sparkle. The decor around the porch or the inside of the foyer should compliment the style and design of the front door. Use large wooden letters or numbers as a doorstop, painted the same color as the door. They could represent your family last name or the house number. Add greenery and florals in potted plants. Incorporate a durable yet stylish welcome mat in a pattern such as stripes, or one that has a typed inspirational quote.